If you’re a Linux Systems Administrator or run an Ubuntu Linux Server for a small website somewhere, now would be a good time to plan an upgrade to Ubuntu 16.04 Xenial Xerus if you’re currently running Ubuntu 14.04. You can read the Ubuntu Release Notes to see some of the new features available. Ubuntu has an LTS flavor as well, which offers 5 years of Long Term Support for servers. Ubuntu 16.04 has been out since April 2016 and has recently been updated to 16.04.1. 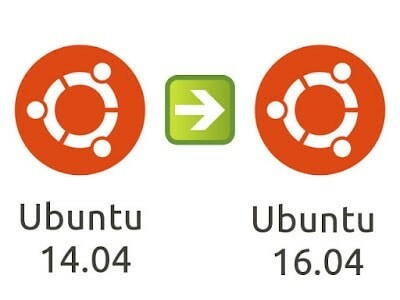 If you are using any of Ubuntu 12.10, 13.04, 13.10, 14.10 or 15.04, you must upgrade, as these versions are no longer supported. The problem with these versions is that you cannot directly upgrade to Ubuntu 16.04. You must go through each next release upgrade. If you’re on Ubuntu 12.04, you’ll want to upgrade to at least 14.04 within the next few months since 12.04 will be end of life soon. You can use these same steps to upgrade from 12.04 to 14.04. Make sure you have update-manager-core installed on your server by running the following command. Once the upgrade is complete, restart your server. When you log back in, run the lsb_release -a command to check Ubuntu version.